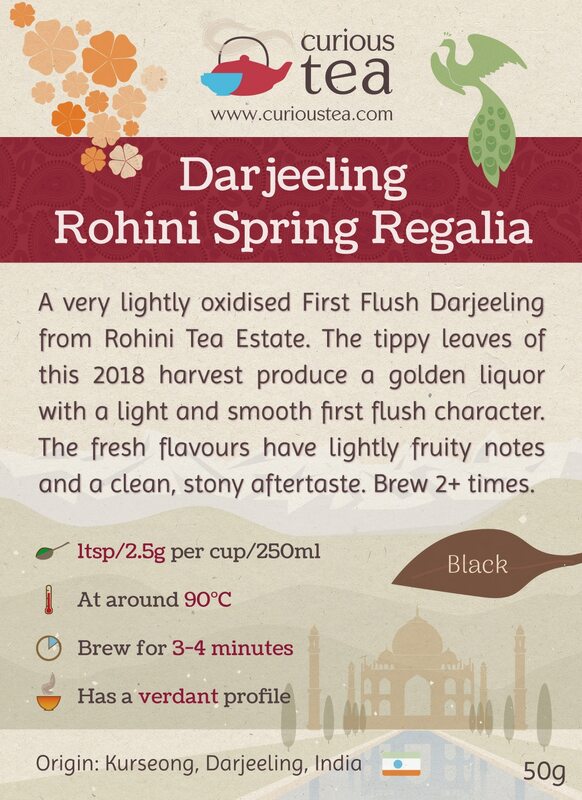 Darjeeling Rohini Spring Regalia is a very lightly oxidised First Flush Darjeeling from Rohini Tea Estate. 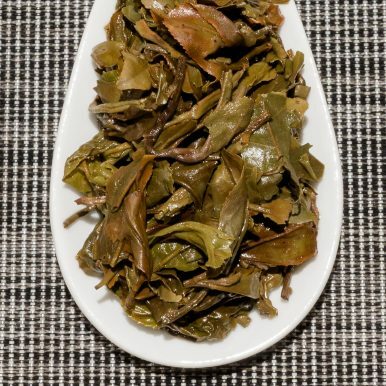 The tippy leaves of this 2018 harvest produce a golden liquor with a light and smooth first flush character. The fresh flavours have lightly fruity notes and a clean, stony aftertaste. Darjeeling Spring Regalia is a great First Flush black tea from Rohini Tea Estate. 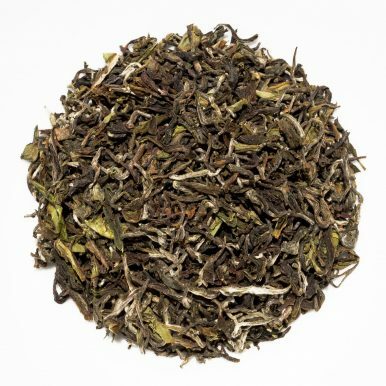 Made from specially selected clones, this tea has a smooth and bright character. 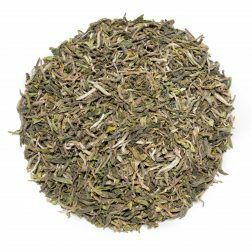 Selected from fine quality buds and lightly oxidised, this tea delivers a fine First Flush profile that is light and refreshing. Like all our Rohini and Gopaldhara teas, we source it directly from Rishi Saria, the owner and director of Gopaldhara and Rohini Tea Estates. This lot is from the March 2018 harvest. Rohini Tea Estate is located along the route that connects the towns of Siliguri and Kurseong. Surrounded by a beautiful natural environment, this estate produces tea from relatively young trees. The estate has had a chequered past, not actually producing any tea for a long period of time. Recently it has been replanted with young tea trees, which sometimes has lead it to be called the youngest tea estate in Darjeeling. 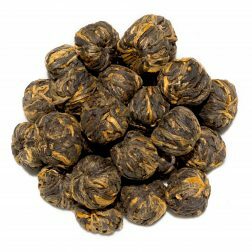 It is now going from strength to strength and is producing more and more interesting and higher quality teas. This Spring Regalia is an example of a high grade First Flush Darjeeling that undergoes medium oxidation to preserve and highlight the fresh spring flavours. 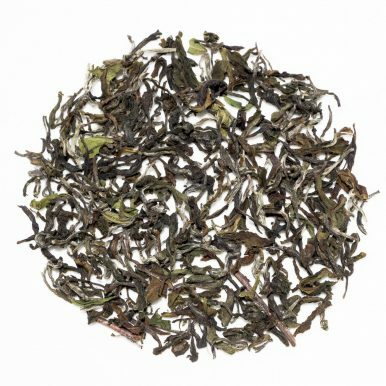 Like in all of Darjeeling, the First Flush is a particularly prized picking. The tea trees undergo hibernation for about 4 months during the period of December to March. As spring approaches, the trees start to slowly produce very fine new growth. 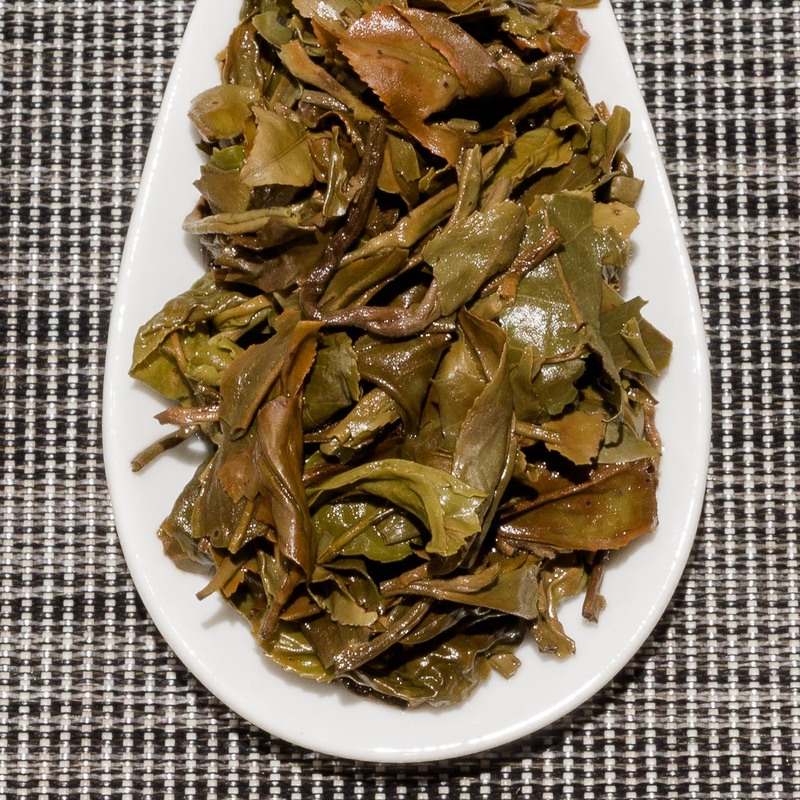 These new spring leaves that are carefully picked by hand usually consist of one bud plus one or two leaves. These are hand sorted and processed using minimal machinery to retain the fine quality. 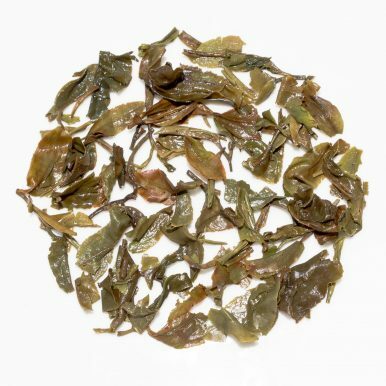 A good First Flush Darjeeling also undergoes mild oxidation, producing a distinctive First Flush character. 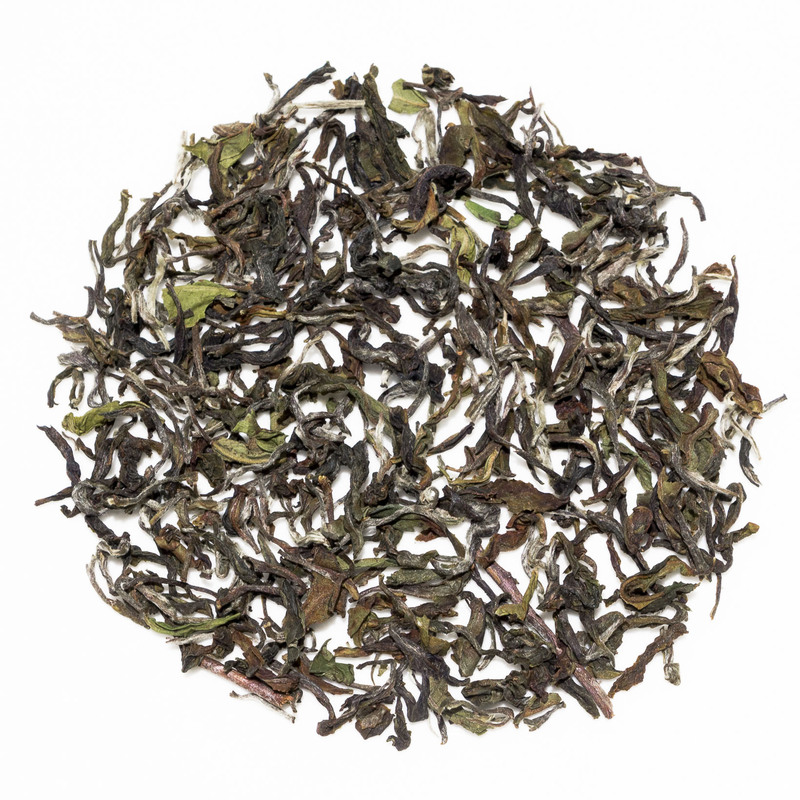 This Darjeeling Spring Regalia First Flush has neat tippy leaves that have a mineral aroma. The brewed liquor has a golden colour with a fresh, green, stony fragrance. 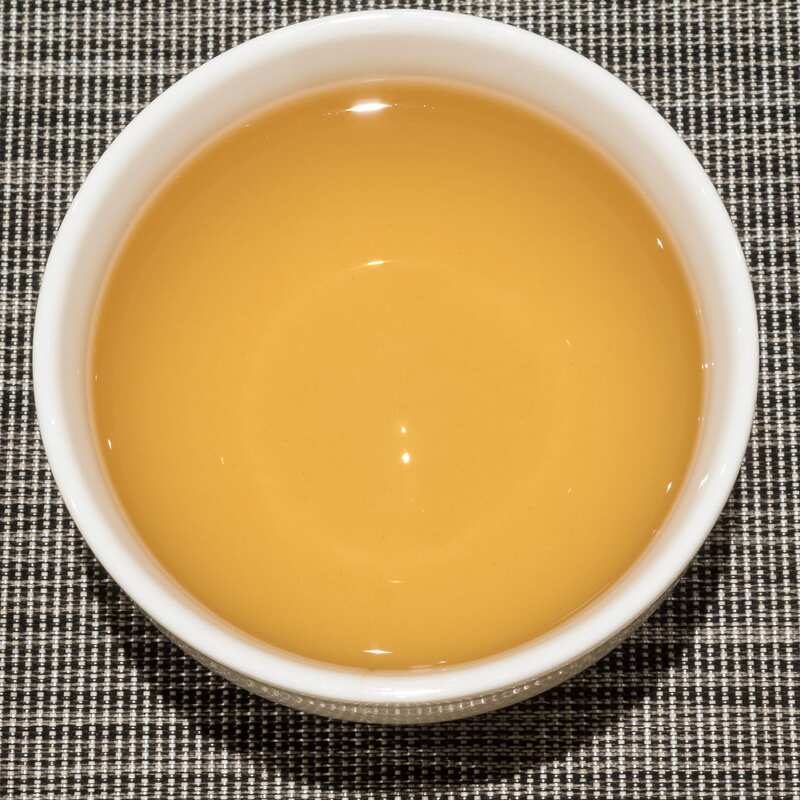 It produces a cup with a supremely smooth character, being the result of milder oxidation. The flavours are light, a little fruity, vegetal and refreshing. 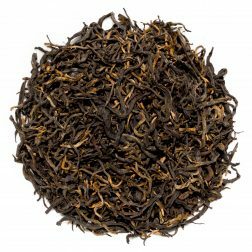 There is no astringency or bitterness and the usual Darjeeling mineral notes are not particularly evident. The finish is very clean, just a touch stony, with a comforting lightly-drying, verdant and floral aftertaste. 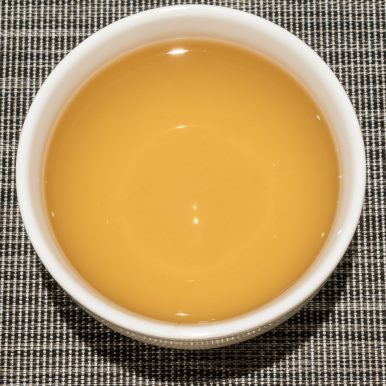 This tea is best brewed at 90°C for 3-4 minutes and can be brewed 2+ times. 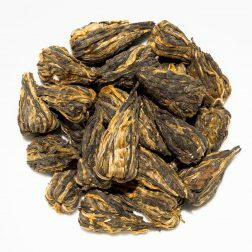 This tea was first featured in our April 2019 Curious Tea Subscription Boxes. A wonderfully balanced Yunnan Red from Jing Mai Mountain. Balanced in taste, it has woody and stony notes with a touch of tannic maltiness.